RenewLV’s Biggest Event of the Year is only 16 Days Away. Show Your Support by Joining our Fantastic List of Sponsors. We need you in the room! You’re invited to our 3rd Annual Summit for Smart Growth and Sustainable Communities on Dec. 4, from 7:30 a.m. to 3:30 p.m. at the Renaissance Hotel in Allentown. Register now to guarantee your seat at the table. Renew Lehigh Valley is a non-profit organization committed to promoting smart growth and smart governance in order to revitalize our core communities, preserve open space, and establish an economically and environmentally sustainable foundation for our region’s future growth. Transit oriented development (TOD) promotes building, developing and redeveloping community resources and employment centers around transit centers, whether those are bus or train. We don’t have that here in the Lehigh Valley. TOD doesn’t mean the construction of a bus stop near an office park, but a holistic approach to making communities accessible for those who don’t have or choose not to use a personal vehicle. This promotes equitable access to resources and employment, but also has positive environmental consequences. If fewer individuals are taking personal cars and opting to take the bus or train, carbon emissions will decrease. A new approach to looking at costs. While a building in a TOD community may cost more, it may also provide more affordable housing and increase the efficiency of workers. Walkability is also TOD. Land use policies that encourage walkability are also likely to improve TOD in communities. Connect the suburbs to TOD. This increases the size of the potential workforce for any given company, which increases the value of TOD to them. 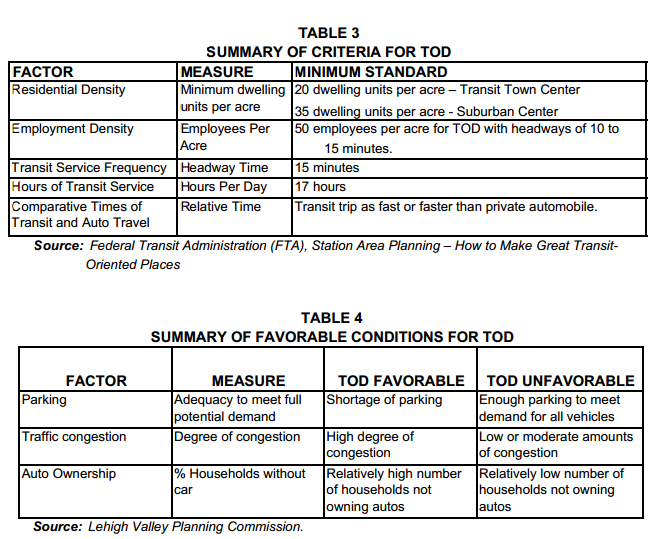 It takes Lehigh Valley residents an average of 25 minutes to get to work and The Lehigh Valley Transportation Study (LVTS) long range plan estimates a $1.7 billion shortfall for funding needed through 2030. 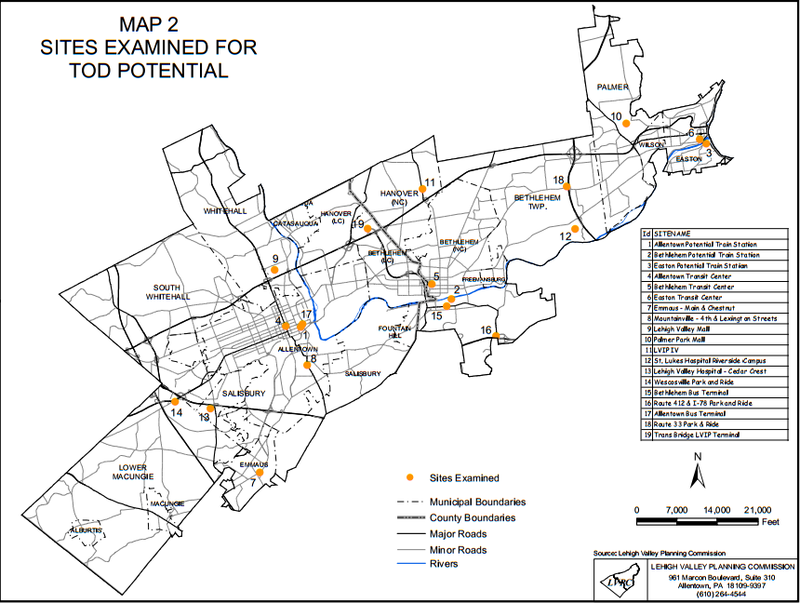 As part of the Envision Lehigh Valley project, LANta is producing a study on Transit Oriented Development and Bus Rapid Transit. Stay tuned for more information on that report as it is expected to be unveiled very soon! For a long time, there was Princeton, NJ the borough and Princeton, NJ the township – not anymore. In 2011, residents voted to consolidate the neighboring municipalities and their merger took effect on January 1, 2013. To coordinate the process, the new municipality created a task force. The Transition Task Force is comprised of twelve members: Five voting members each from the Borough and Township, and one alternate each. The Task Force also includes both the Borough and Township administrators. The Task Force is being assisted by the State Department of Community Affairs and other outside experts. This consolidation represents the joining of a relatively developed and economically stable borough, and a much more rural township. Despite their cultural differences, the merge was seen as having huge potential in cost-saving for both municipalities. The two municipalities are in the process of overcoming budgeting differences, as they had previously allocated funds through different channels and were not able to merely combine their revenues and cut out the redundant departments. In order to make sure that the service and fiscal planning would aptly serve the new municipality, subcommittees were formed from the Transition Task Force and included Facilities, Finance, Infrastructure, Personnel and Public Safety. The state of New Jersey was also helpful in the transitional phases, offering 20 percent of cost reimbursement and funding an upgrade in the police information system. Special consideration went into ensuring that consolidation would not yield a decline in the services provided by either municipality. These services consist of trash collection, financial reporting, police staffing and relocating public facilities, among others. In Pennsylvania, it’s been difficult to undertake such huge projects, but Renew Lehigh Valley has been advocating for consolidation since its inception and there has been some success. Right here in the Lehigh Valley, we have seen consolidation of police departments with the Colonial Regional Police Department that provides law enforcement services to Bath Borough, Hanover Township, and Lower Nazareth Township all in Northampton County. This has been a remarkable year in NJ with the implementation of the Princeton Consolidation. Be Inspired by the success of Princeton Township and Princeton Borough becoming ONE town. Learn from elected officials from around the state about their experience with school, police, fire and municipal consolidation. Connect with innovative leaders in NJ, making a difference!